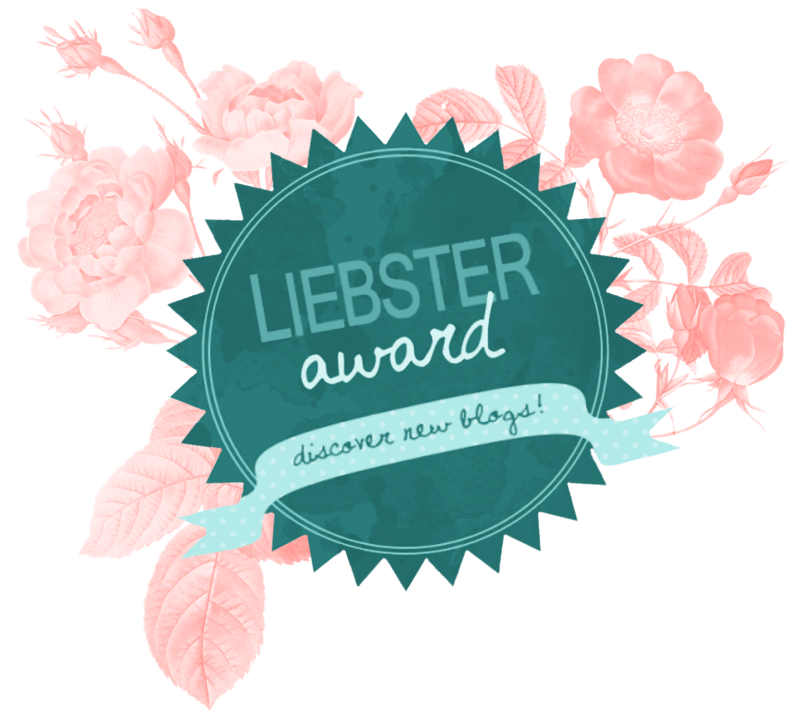 A couple of weeks ago, my friend Mike at Running Around the Bend nominated me for yet another Liebster award (you can see my other posts here, here, and here). 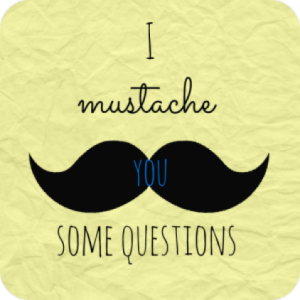 And then the lovely Sarah of Healthy Simple Smart tagged me to answer the “I Mustache You a Question” thing that’s going around. And then this week, Lauren, aka “Salt” at Run Salt Run nominated me for another Liebster! I’m feeling so much love! If you don’t follow these excellent people yet, you really should. They are all very thoughtful, kind, supportive people, in addition to being badass runners. Since I’ve been Liebster-ed several times, and since pretty much everyone I follow has been nominated at least once, I’m going to forgo any further tagging and just subject you to more useless facts about myself. P.S. I will not be offended if you don’t read all this junk. I wouldn’t either. 3. If number 2 works out, hopefully getting a dog! And that concludes another round of “Useless Facts About Rae.” We hope you’ve enjoyed. Thanks for sharing – I always love these things, always learn something new along the way! haha – can totally understand it! Just catching up on the older Liebsters, didn’t realize Martian Chronicles was ‘new to you’ this year … great book! I already forced a bunch of this stuff on my boys (not hard considering how they read!). Rachey is a classic 😉 And OMG the castles! In Trier, the original Roman North Gate of the city is still pretty much in tact, you can go inside and take the stairs up, it’s amazing! And there are other Roman ruins all over the city. um, def. adding that to my bucket list right now!!! Also, it’s in the middle of wine country, soo… yeah. Awesome. The top of Mont Blanc in the French Alps. Oo, I’m sure that was lovely! Top of St, Peter’s Basilica in Rome. Unbelievable, and I’ve done it twice. Woah, that sounds really awesome! Especially that everyone in town participates! The coolest place I’ve ever been? Man, it’s hard to choose. Probably Yorkshire, for the gorgeous countryside, the perfect accents, and the family ties. Haha, love it. I feel like I know you so well now. I love your curse words! And thank goodness you listed tacos as a favorite food…we can stay friends. That’s pretty much what I base all my friendships on. Anti-taco people are not ok.